The Photonics Spotlight - Correctly Designing Frequency Conversion Stages: Not Easy, but Worthwhile! Abstract: Correctly designing nonlinear frequency conversion stages is not easy, but has a lot of advantages, making development projects faster and more efficient. Unfortunately, many people take a trial-and-error approach, wasting a lot of resources. 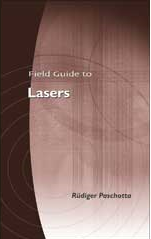 Nonlinear frequency conversion is often used in laser technology – in conjunction with continuous-wave lasers and pulsed lasers. In similar ways as for lasers, the correct design of frequency conversion stages is essential: not only for obtaining the optimum power conversion efficiency, but also for preserving beam quality, achieving a sufficiently high lifetime of the nonlinear crystal material, etc. And indeed there are quite a few design details where the correct choice is certainly not obvious. In particular, you have to decide about what type and length of nonlinear crystal to use, what phase-matching configuration to employ (e.g. critical or noncritical? ), how tightly the laser beam should be focused into the crystal, etc. For pulses, in particular for ultrashort pulses, a number of additional aspect comes into play; one may have to consider the phase-matching bandwidth or the group velocity mismatch or peak intensities in the context of possible laser-induced damage. For example, they select a certain crystal simply because that material has been used successfully in another device, even though the circumstances are quite different. They would purchase dozens of crystals with a certain length, not knowing whether half the length (which certainly makes it much cheaper) would be sufficient or possibly even better. They would just take some curved mirror or lens to focus their laser beam into the crystal, neither knowing what size the beam waist will have, nor what value would be appropriate. If the conversion efficiency appears to be satisfactory, they would conclude that it works and can be done that way. If the boss later asks for more conversion efficiency, they do not know whether it would be possible. How far the applied intensity levels are from the laser-induced damage threshold is another question they could not answer – although the boss would certainly want them to know that! Quite obviously, this is not the recommended way of working in a high-tech area like photonics. It is highly inefficient, possibly leading to poor performance, unnecessary cost for materials and parts, time-consuming problems with optical damage, etc. But why are people working like this? Possibly just because they cannot do it better, and believe that they could not do it better. Learning often does not appear to be a contemplated option. Admittedly, there is no fast way of learning all this. One first needs to acquire a thorough understanding of the underlying physics, including the knowledge of calculating details such as phase-matching angles, intensity-dependent conversion efficiencies and the like. In addition, one needs to get familiar e.g. with the typical trade-offs between different phase-matching configurations and the typical pros and cons of tight focusing into nonlinear crystals. Finally, one also requires some amount of experience e.g. in order to notice that certain degradation phenomena have to be observed when using particular nonlinear crystal materials. When learning all this just for using it once for the design of a device, the amount of work required may be out of proportion. However, when somebody at a company regularly designs such devices, that investment into solid know-how will certainly pay off. And if a company does not often uses that sort of expertise, the straightforward solution is to employ an expert as an external technical consultant for getting this work done properly. Note that paying such an expert for just a few hours of work is nothing compared to what you can waste when trying silly things in the lab. Enjoy a one-day course on nonlinear frequency conversion on Feb. 9, 2015 – the probably easiest way of getting well introduced into that area! By the way, I will present a one-day course on Applied Nonlinear Frequency Conversion at Photonics West (San Francisco) on February 9, 2015. This would be an excellent opportunity for many to get an easy introduction into that technical area. Those already knowing the basics can still learn a lot in this course.